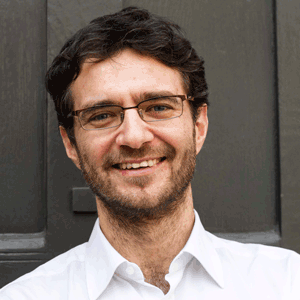 Francesco Rampa, an Italian national, is Head of Programme at ECDPM. He heads the Sustainable Food Systems team of ECDPM’s Economic and Agricultural Transformation programme. With a background in economics and international trade (graduated at Bocconi University and Master in Economics for Development at Oxford), his expertise and publications are in the fields of trade policies and development, political economy, innovation, food security and sustainable food systems. He worked on trade policy and negotiations for two years as ODI Fellow at the Department of Trade and Industry of Papua New Guinea. He worked for ECDPM in the Economic and Trade Cooperation Programme from 2005 until 2008, and was seconded in 2008-2009 to the Prime Minister’s Office of Italy, G8 Sherpa Office, as technical advisor on Africa & Development dossiers within the G8, G20 and G8-G5 Dialogue processes. There he focused on ‘agriculture and food security’ as well as on ‘water and sanitation’. In 2010-11 he was a consultant for FAO, at the Land & Water Division, to support African countries on water management policies and strategic investment frameworks for agricultural water. At ECDPM he now leads the Sustainable Food Systems team, focusing on ‘regional value chain development for food security’ in Africa, climate-resilience in agriculture, as well as the economic, social and environmental sustainability of food systems. Measuring policy coherence for food security, what are the challenges? How can Intra-African Agricultural Trade be Tripled? Good News from Durban: CAADP Getting More Results-Oriented! After 10 Years, Make or Break for CAADP?